Catch up with the ladies in style with the cute and comfy Chatsworth from SoftWalk®. Leather uppers with a round, cap toe. Mary Jane strap offers an adjustable buckle closure. 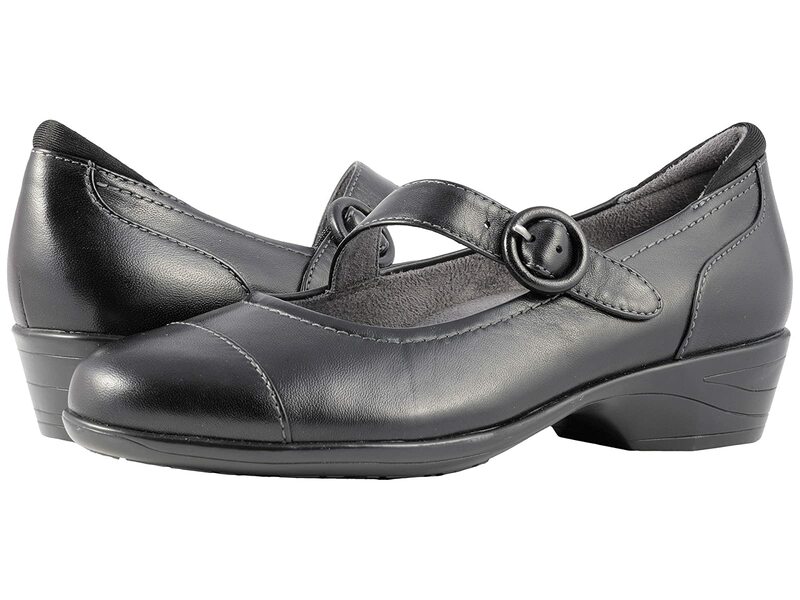 Features a removable, fully cushioned footbed with arch support for all-day comfort.